Area high school students who placed first in their class show their awards during Thursday’s UHV Mathematics & Robotics Awareness Day. From left are Jessica Zhang, Ian Chen, Pranav Jain and Bekka Alex. Trevor Bellamy, right, was the overall winner of the event’s computer science contest. Students learned Thursday about the affects of Artificial Intelligence using intelligent assistant Siri on their Apple devices. Teixeira’s “Mathemagics” presentation was part of the 24th annual Mathematics & Robotics Awareness Day at the University of Houston-Victoria. A group of 155 high school students from 10 area high schools took part in activities that included mathematics and computer science tests, learning sessions and technology demonstrations. High schools with students participating in the event were Beeville, Calhoun, Edna, Goliad, Hallettsville, Liberty Academy, Sacred Heart in Hallettsville, St. Joseph, Career and Technology Institute, and Victoria West. A grant from Alcoa Foundation funded the event as well as robotics courses for high school students. The grant also will fund summer math and robotics camps at UHV for 14- through 18-year-olds. For more information, visit www.uhv.edu/stem-events. 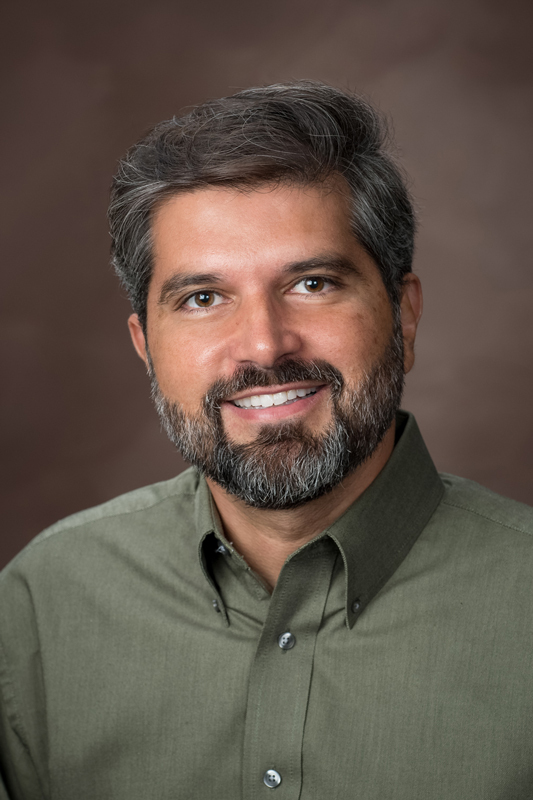 During the day, students attended learning sessions focusing on “Mathemagics,” presented by Teixeira; the concept of emotions incorporated into Artificial Intelligence, led by Rogerio Silva, a UHV assistant professor of computer science; and computer algorithms applied to strategy games, taught by Hongyu Guo, a UHV associate professor of computer science. Each session offered demonstrations about how math and technology can be used in everyday life. Students also were able to visit booths set up by various groups and companies, including Caterpillar, CivilCorp, UHV Admissions & Student Recruitment, UHV School of Arts & Sciences, a Victoria Independent School District engineering class, Daniel White, director of the UHV in Biomedical Sciences graduate program; and students from Amjad Nusayr’s high school robotics course. This was Renner’s first year attending the event. He said he found Teixeira to be a great teacher. Freshmen – Ian Chen, Calhoun, first; Kary Xu, Calhoun, second; John Andruss, Victoria West, third. 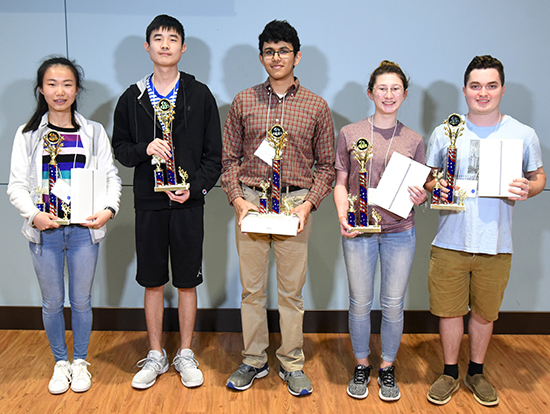 Sophomores – Jessica Zhang, Calhoun, first; Orlando Di Leo, Victoria West, second; Kelly Xu, Calhoun, third. Juniors – Bekka Alex, Hallettsville, first; Michael Van Hooten, Victoria West, second; John Cesarz, Sacred Heart–Hallettsville, third. Seniors – Pranav Jain, St. Joseph, first; Chris Ralston, Victoria West, second; Marco Di Leo, Victoria West, third. Jain has been a participant in the event since he was a freshman and recently was admitted to the Texas A&M University Engineering to Medicine program that guarantees him a spot in medical school upon post-secondary graduation.